Major depression is the most common psychiatric disorder described, being a highly disabling disorder with a high prevalence in ocident and has a huge social and economic impact. With several effective treatments to combat depression, whether with drugs, with evidencebased psychotherapy or its association, most of these depressed patients or not outweigh the disease or reach partial improvement. This group is classified as depression resistant to treatment (TRD). Transcranial magnetic stimulation (TMS) is effective alternatives for nonresponsive cases. It is a brain intervention that modulates the activity of cortical areas and neural circuits associated with induction of non-invasive intracerebral current and its most common use is high frequency stimulation in the dorsal region of the left lateral prefrontal cortex (DLPFC). Several single-center, controlled studies TMS studies were made and in most cases, been proven antidepressant properties of TMS, despite certain recommendations for greater safety and efficacy in the treatment of depression. Major depression is the most common of all psychiatric disorders [1,2]. It is a highly prevalent and disabling condition associated with significant morbidity and mortality . While depression can be effectively treated in majority of patients by either medication or some form of evidence-based psychotherapy [2,4], up to 20% of patients fail to respond to standard interventions [2,5,6]. After acute-phase pharmacotherapy, psychotherapy, or both, most depressed patients either do not improve or achieve only partial symptomatic improvement [7-12]. This group is considered to have treatment-resistant depression (TRD) . The lack of sufficient treatment response and the enormous impact of the disorder make the development of alternative treatment approaches a priority . Electroconvulsive therapy (ECT) is considered an effective alternative for such patients, but necessitates administering general anesthetic, induces a seizure, and causes significant memory [3,14] and learning [3,15] impairments. Transcranial magnetic stimulation (TMS) has been proposed as a refined alternative . TMS is a noninvasive technique used to apply magnetic pulses to the brain. The pulses are administered by passing high currents through an electromagnetic coil placed upon the scalp that can induce electrical currents in the underlying cortical tissue, thereby producing a localized axonal depolarization . Repetitive TMS (rTMS) refers to TMS applied repeatedly during a session [12,17-19]. It was introduced as a promising new treatment option for depression and showed beneficial effects in single-centre studies [20-23]. Numerous lines of evidence deriving from different research and clinical methodologies attest that depression involves integrated neural pathways linking select cortical, subcortical, and limbic sites and their related molecular mediators [24-29]. The H-coil is a novel rTMS tool, which enables direct stimulation of deeper and larger brain volumes [13,16,30-32]. The intensity of stimulation was found to be a critical factor in the therapeutic effect of DTMS. Studies questioning the efficacy of standard TMS in the treatment of depression concluded that among other factors, higher intensities are needed to reach clinical significance [3,33,34]. In the current study, direct stimulation of deeper brain regions by the H-coils resulted in very high response and remission rates . Studies showed that deep TMS utilizing the H-coil is generally safe and effective as an augmentation treatment in patients who did not sufficiently respond to at least two antidepressant medications in the current episode . The efficacy of dTMS and standard TMS cannot be compared at the moment because previous studies investigating rTMS not only vary by TMS parameters, but also differ by inclusion criteria, patient characteristics and efficacy criteria . Adverse events reported were principally limited to scalp discomfort or pain within the confines of the TMS session itself and were mostly transient phenomena in the first weeks of the TMS course. The most serious side effect that has been reported with TMS is a seizure [35,36]. There have been no reported seizures in therapeutic trials in depression with the application of safety guidelines developed following initial reports of seizures with high frequency stimulation [37-40]. Methods to account for individual differences in anatomy have been proposed including targeting based on standardized EEG electrode positions [41,42], or specific MRI coordinates [42,43-45]. Most clinical rTMS protocols have stimulated the left DLPFC. Recent studies have shown that different DLPFC sub regions stimulated by standard protocols vary considerably in terms of their connectivity with medial prefrontal structures such as the subgenual cingulate gyrus [13,46,47], which appears to be an important region involved in the pathophysiology of MDD [2,13]. 1. The rTMS has antidepressant properties that are supported by a number of lines of research , however, Herwing et al., observed the same rates of responders (31%) in both groups (real and the sham treatment groups), implying that even if many more patients had been treated the outcome in the primary efficacy variable would not have been any different [23,49]. 2. The rTMS is applied in adults between the ages of 18 and 70. There is a suggestion of reduced efficacy in the elderly from the limited trials in this population to date and more research is required before rTMS is more widely applied in this age group . 3. Greater rates of overall response and remission would likely be seen if TMS were delivered in combination with pharmacotherapy, as was recently demonstrated with electroconvulsive therapy [12,50]. Although most studies indicates clinical significance of the proposed procedure, there is still no consensus on the ideal protocol to be adopted to optimize the results of the therapy, as well the impact of their long-term effects, making it hasty to actual clinical use. Thus, we conclude that there is a clear need for more research, but with better planning, aiming to bring a new treatment and actual effectiveness of major depression for the population. Wang PS (2003) National Co-morbidity survey replication. The epidemiology of major depressive disorder: results from the National co-morbidity Survey Replication (NCS-R) JAMA 289: 3095-3105. Mayberg HS, Lozano AM, Voon V, McNeely HE, Seminowicz D, et al. (2005) Deep brain stimulation for treatment-resistant depression.Neuron 45: 651-660. Levkovitz Y, Harel EV, Roth Y, Braw Y, Most D, et al. (2009) Deep transcranial magnetic stimulation over the prefrontal cortex: Evaluation of antidepressant and cognitive effects in depressive patients. Brain Stimulation 2: 188-200. American Psychiatric Association (2000) Practice guideline for the treatment of patients with major depressive disorder (revision) Am J Psychiatry 157: 1-45. Fava M (2003) Diagnosis and definition of treatment-resistant depression. Biol Psychiatry 53: 649-659. Keller MB, Lavori PW, Mueller TI, Endicott J, Coryell W, et al. (1992) Time to recovery, chronicity, and levels of psychopathology in major depression. A 5 year prospective follow up of 431 subjects. Arch Gen Psychiatry 49: 809-816. Frank E, Prien RF, Jarrett RB, Keller MB, Kupfer DJ, et al. (1991) Conceptualization and rationale for consensus definitions of terms in major depressive disorder: remission, recovery, relapse, and recurrence. Arch Gen Psychiatry 48: 851-855. Trivedi MH, Rush AJ, Wisniewski SR, Nierenberg AA, Warden D, et al. (2006) STAR*D study team. Evaluation of outcomes with citalopram for depression using measurement-based care in STAR*D: implications for clinical practice. Am J Psychiatry 163: 28-40. Rush AJ, Trivedi MH, Wisniewski SR, Stewart JW, Nierenberg AA, et al. (2006) STAR*D study team. Bupropion-SR, sertraline, or venlafaxine-XR after failure of ssris for depression. N Engl J Med 354: 1231-1242. Rush AJ, Trivedi MH, Wisniewski SR, Nierenberg AA, Stewart JW, et al. (2006) Acute and longer-term outcomes in depressed outpatients requiring one or several treatment steps: a STAR*D report. Am J Psychiatry 163: 1905-1917. Fekadu A, Wooderson SC, Markopoulo K, Donaldson C, Papadopoulos A, et al. (2009) What happens to patients with treatment-resistant depression? A systematic review of medium to long term outcome studies. J Affect Disord 116: 4-11. George MS, Lisanby SH, Avery D, McDonald WM, Durkalski V, et al. (2010) Daily left prefrontal transcranial magnetic stimulation therapy for major depressive disorder Ã¢ÂÂ A sham-controlled randomized trial. Arch Gen Psychiatry 67: 507-516. Levkovitz Y, Isserles M, Padberg F, Lisanby SH, Bystritsky A, et al. (2015) Efficacy and safety of deep transcranial magnetic stimulation for major depression: a prospective multicenter randomized controlled trial. World Psychiatry 14: 64-73. Rami GL, Bernado M, Boget T, Salamero M, Gil-Verona JA, et al. (2001) Subtypes of memory dysfunction associated with ECT: characteristics and neurobiological bases. J ECT 17: 129-135. Lukoyanov NV, Sa MJ, Madeira MD, Paula-Barbosa MM (2004) Selective loss of hilar neurons and impairment of initial learning in rats after repeated administration of electroconvulsive shock seizures. Exp Brain Res 154: 192-200. Zangen A, Roth Y, Voller B, Hallett M (2005) Transcranial magnetic stimulation of deep brain regions: evidence for efficacy of the H-Coil. Clinical Neurophysiology 116: 775-779. Padberg F, George MS (2009) Repetitive transcranial magnetic stimulation of the prefrontal cortex in depression. ExpNeurol 219: 2-13. George MS, Aston-Jones G (2010) Noninvasive techniques for probing neurocircuitry and treating illness: vagus nerve stimulation (VNS), transcranial magnetic stimulation (TMS) and transcranial direct current stimulation (tDCS). Int J Neuropsychopharmacol35 : 301-316. Schlaepfer TE, George MS, Mayberg H (2009) WFSBP Guidelines on brain stimulatio treatments in psychiatry. World J Biol Psychiatry 26: 1-17. Burt T, Lisanby SH, Sackeim HA (2002) Neuropsychiatric applications of transcranial magnetic stimulation: a meta-analysis. Int J Neuropsychopharmacol5: 73-103. Kozel FA, George MS (2002) Meta-analysis of left prefrontal repetitive transcranialmagnetic stimulation (rTMS) to treat depression. J PsychiatrPract8: 270-275. Loo CK, Mitchell PB (2005) A review of the efficacy of transcranial magnetic stimulation (TMS) treatment for depression, and current and future strategies to optimize efficacy. J Affect Disord88: 255-267. Herwig U, Fallgatter AJ, Ppner JH, Eschweiler GW, Kron M, et al. (2007) Antidepressant effects of augmentative transcranial magnetic stimulation. Br J Psychiatry 191: 441-448. Manji HK, Drevets WC, Charney DS (2001) The cellular neurobiology of depression. Nat Med 7: 541Ã¢ÂÂ547. Mayberg HS (1997) Limbic-cortical dysregulation: a proposed model of depression. 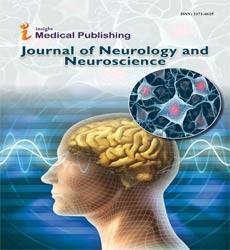 J Neuropsychiatry ClinNeurosci 9: 471Ã¢ÂÂ481. Nemeroff CB (2002) Recent advances in the neurobiology of depression. Psychopharmacol Bull 36: 6Ã¢ÂÂ23. Nestler EJ, Barrot M, DiLeone RJ, Eisch AJ, Gold SJ, et al. (2002) Neurobiology of depression. Neuron 34: 13Ã¢ÂÂ25. Vaidya VA, Duman RS (2001) DepressionÃ¢ÂÂemerging insights from neurobiology. Br Med Bull 57: 61Ã¢ÂÂ79. Isserles M, Rosenberg O, Dannon P, Levkovitz Y, Kotler M, et al. (2011) CognitiveÃ¢ÂÂemotional reactivation during deep transcranial magnetic stimulation over the prefrontal cortex of depressive patients affects antidepressant outcome.J Affect Disord128: 235-242. Roth Y, Amir A, Levkovitz Y (2007) Three-dimensional distribution of the electric field induced in the brain by transcranial magnetic stimulation using figure-8 and deep H-coils. J ClinNeurophysiol 24: 31-38. Roth Y, Zangen A, Hallett M (2002) A coil design for transcranial magnetic stimulation of deep brain regions. J ClinNeurophysiol 19: 361-70. Roth Y, Pell GS, Chistyakov AV (2014) Motor cortex activation by H-coil and figure-8 coil at different depths. Combined motor threshold and electric field distribution study. ClinNeurophysiol 125: 336-343. Gershon AA, Dannon PN, Grunhaus L (2003) Transcranial magnetic stimulation in the treatment of depression. Am J Psychiatry 160: 835-845. Couturier JL (2005) Efficacy of rapid-rate repetitive transcranial magnetic stimulation in the treatment of depression: a systematic review an meta-analysis. J Psychiatry Neurosci 30: 83-90. Anderson B, Mishory A, Nahas Z, Borckardt JJ, Yamanaka K, et al. (2006) Tolerability and safety of high daily doses of repetitive transcranial magnetic stimulation in healthy young men. J ECT 22: 49-53. OÃ¢ÂÂReardon JP, Solvason HB, Janicak PG, Sampson S, Isenberg KE, et al. (2007) Efficacy and Safety of Transcranial Magnetic Stimulation in the Acute Treatment of Major Depression: A Multisite Randomized Controlled Trial. Biol Psychiatry 62: 1208-1216. Wassermann EM, Cohen LG, Flitman SS, Chen R, Hallett M (1996) Seizures in healthy people with repeated Ã¢ÂÂsafeÃ¢ÂÂ trains of transcranial magnetic stimuli. Lancet 347: 825Ã¢ÂÂ826. Wassermann EM (1998) Risk and safety of repetitive transcranial magnetic stimulation: report and suggested guidelines from the International Workshop on the Safety of Repetitive Transcranial Magnetic Stimulation, June 5Ã¢ÂÂ7, 1996. Electroencephalography and Clinical Neurophysiology 108: 1-16. Chen R, Gerloff C, Classen J, Wassermann EM, Hallett M, et al. (1997) Safety of different inter-train intervals for repetitive transcranial magnetic stimulation and recommendations for safe ranges of stimulation parameters. Electroencephalography and Clinical Neurophysiology 105: 415Ã¢ÂÂ421. Fitzgerald P (2003) Is it time to introduce repetitive transcranial magnetic stimulation into standard clinical practice for the treatment of depressive disorders? Australian and Nem Zealand Journal of Psychiatry 37: 5-11. Herwig U, Satrapi P, Schonfeldt-Lecuona C (2003b) Using the international 10Ã¢ÂÂ20 EEG system for positioning of transcranial magnetic stimulation. Brain Topogr 16: 95-99. Fox MD, Liu H, Pascual LA (2013) Identification of reproducible individualized targets for treatment of depression with TMS based on intrinsic connectivity NeuroImage 66: 151Ã¢ÂÂ160. Fitzgerald PB, Hoy K, McQueen S, Maller JJ, Herring S, et al. (2009) A randomized trial of rTMS targeted with MRI based neuro-navigation in treatment-resistant depression. Neuropsychopharmacology 34: 1255Ã¢ÂÂ1262. Herbsman T, Avery D, Ramsey D, Holtzheimer P, Wadjik C, et al. (2009) More lateral and anterior prefrontal coil location is associated with better repetitive transcranial magnetic stimulation antidepressant response. Biol. Psychiatry 66: 509Ã¢ÂÂ515. Rusjan PM, Barr MS, Farzan F, Arenovich T, Maller JJ, et al. (2010) Optimal transcranial magnetic stimulation coil placement for targeting the dorsolateral prefrontal cortex using novel magnetic resonance image-guided neuronavigation. Hum Brain Mapp 31: 1643Ã¢ÂÂ1652. Fox MD, Halko MA, Eldaief MC (2012) Measuring and manipulating brain connectivity with resting state functional connectivity magnetic resonance imaging (fcMRI) and transcranial magnetic stimulation (TMS). Neuroimage 62: 2232-2243. Fox MD, Buckner RL, White MP (2012) Efficacy of transcranial magnetic stimulation targets for depression is related to intrinsic functional connectivity with the subgenual cingulate. Biol Psychiatry 72: 595-603. Martin JLR, Barbanoj MJ, Schlaepfer TE (2003) Repetitive transcranial magnetic stimulation for the treatment of depression: systematic review and meta-analysis. British Journal of Psychiatry 182: 480-491. Herwig U, Lampe Y, Juengling FD (2003a) Add-on rTMS for treatment of depression: a pilot study using stereotaxic coil-navigation according to PET data. Journal of Psychiatric Research 37: 267-275. Sackeim HA, Dillingham EM, Prudic J, Cooper T, McCall WV, et al. (2009) Effect of concomitant pharmacotherapy on electroconvulsive therapy outcomes: short-term efficacy and adverse effects. Arch Gen Psychiatry 66: 729-737.